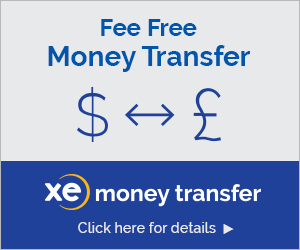 Convert every currency on-the-go with the XE Currency App for iPhone. 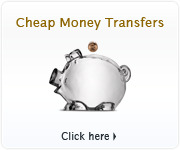 It offers live proprietary exchange rates and historical charts. Plus, it stores the last updated rates so it even works when the Internet doesn't. 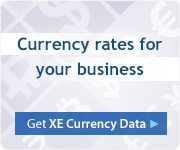 With over 55 million downloads, XE Currency is the most downloaded foreign exchange app. It has appeared as an app of the week on iTunes and has been featured by the BBC, the LA Times, CNN, and The Travel Channel! 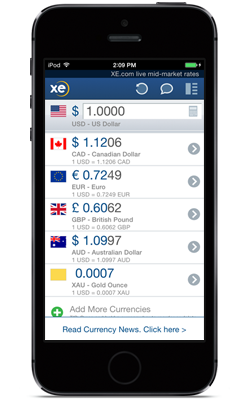 The XE Currency App is also available on iPad, Android, BlackBerry, BB10, Windows Phone, Windows 8 & XE Currency Converter for Shopify.